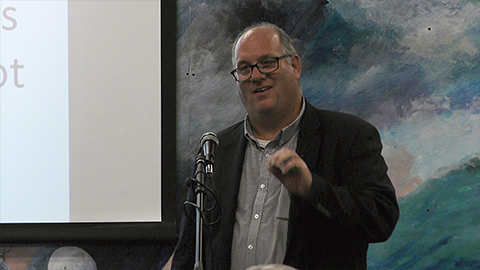 Executive Director of the National Museum of the Great Lakes, Christopher Gillcrist spoke on, “The Gales of November.” He addressed different myths and perceptions of Great Lakes shipwrecks to determine what basis these ideas may have in actual data. Was November really the most dangerous month on the Great Lakes? Were the majority of Great Lakes shipwrecks caused by bad weather? These were questions explored during the program.